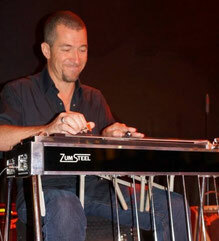 Dietmar Waechtler is one of the best Pedal-Steelguitar Players in Germany. Since 35 years his musical career started playing with playing with local artist's and Bands. Wolfgang Malende, Steier Brothers, American Blend, Carlos and the Drifters, Nashville Moon Band, Dust Radio Band, Chicken Train, Silverado Band.. The first international contact he had with the great Players and Singers Jeanmarie Peschiutta and Natalie Shelar. He toured with them in Germany, France and Italy. Then he started working with two of the best US-Multinstrumental Players and Songwriters based in Germany Helt Oncale and Daniel T. Coates. With Helt Oncale he played couple month for the famous german Countrysinger Tom Astor. After he worked successfully almost 25 years for Daniel T. Coates & Band. Dietmar Waechtler also played for Herbert Groenemeyers Ex-Guitarplayer and Producer, Songriter Gaggey Mrotzeck. Mrotzeck is Member of the famous Rockband Kin Ping Meh. So he played live at the famous TV Live show Rockpalast. He recorded Pedal Steelguitar for Justin Hayward "Moody Blues Classic" album in 1995. 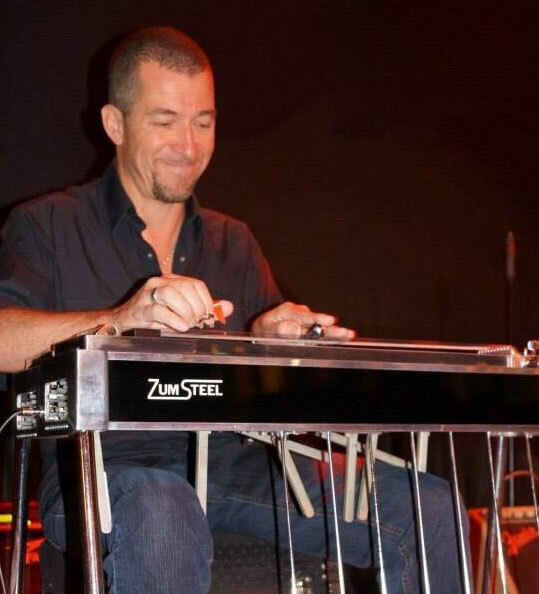 1997 he recorded Lapsteel for the german Actor and singer Uwe Ochsenknecht's record "O-Ton"
Together with Songwriter and Producer Daniel T.Coates he recorded his Pedal-Steelguitar Album "Madison Shuffle" in Madison TN. in 2005. Later in 2016 he played for Daniel T.Coates two gigs in Nashville together with Aaron Till, Gregg Stocki and Charlie McCoy and played live acoustic on the famous Opry WSM Radio Show in Nashville TN. Dietmar Waechtler is booked in Germany, Europe and USA for Performances at Festivals and he work as Steelplayer for US-Recording Artist's during their Europetour. As well he is booked for Live performances and Recording sessions in Europe, Nashville TN. USA und Asia.